Keeping your pool looking like new can be challenging. 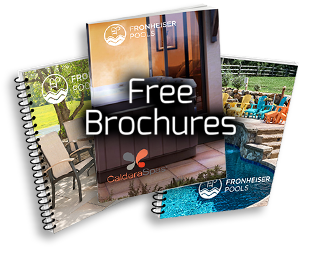 That is why Fronheiser Pools carries a wide array of professional grade cleaning products to keep all aspects of your pool looking and performing the way they were designed to. If you're looking for unbelievable results, look no further! 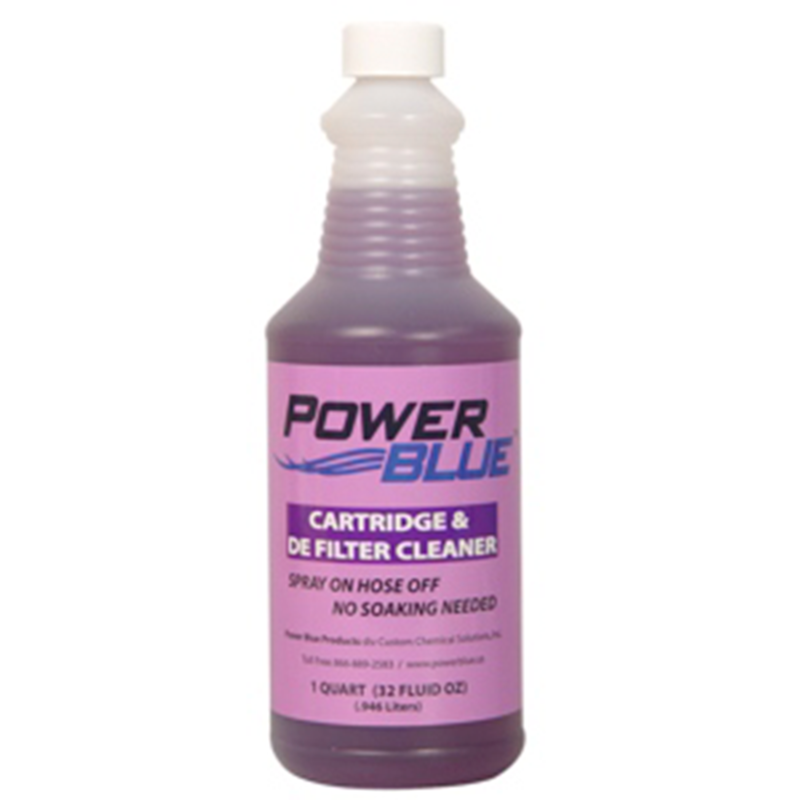 Power Blue's Cartridge & DE Filter Cleaner completely removes all contaminants & degreases in minutes without soaking overnight. This cleaner promotes longer filter cycles and efficient filtration. It's as simple as spray on and hose off; no soaking required. 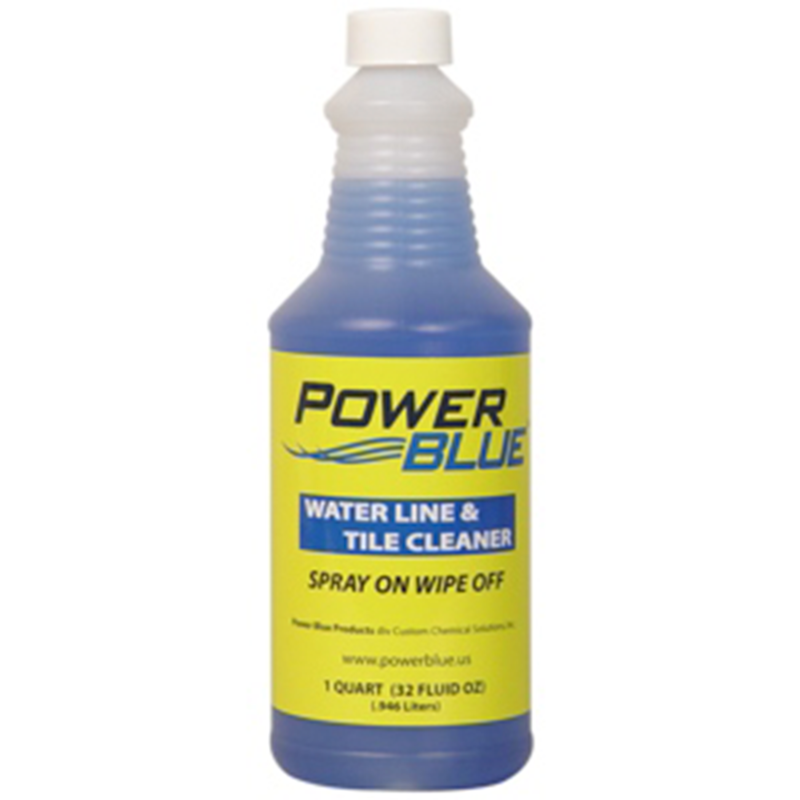 Customers turn to Power Blue Water Line & Tile Cleaner when nothing else works! It removes the toughest sunbaked, oily black scum lines and water marks. It's a simple as spraying on and wiping off; no scrubbing needed. 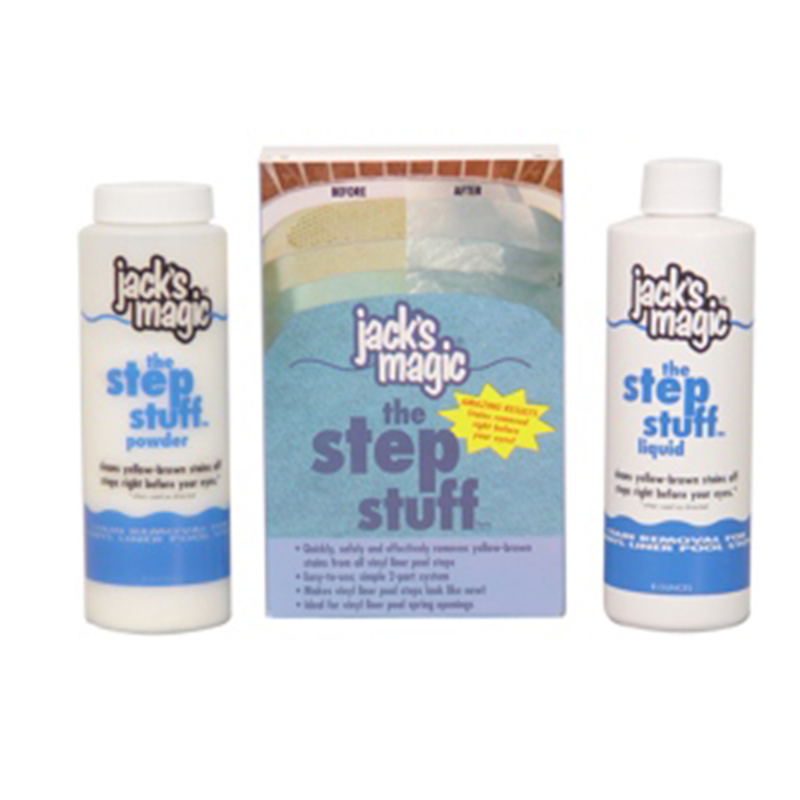 The step stuff will safely and effectively remove most common stains off of the polymer step in your Vinyl Lined pool before your eyes. This easy to use product is safe for all Vinyl Liner steps. 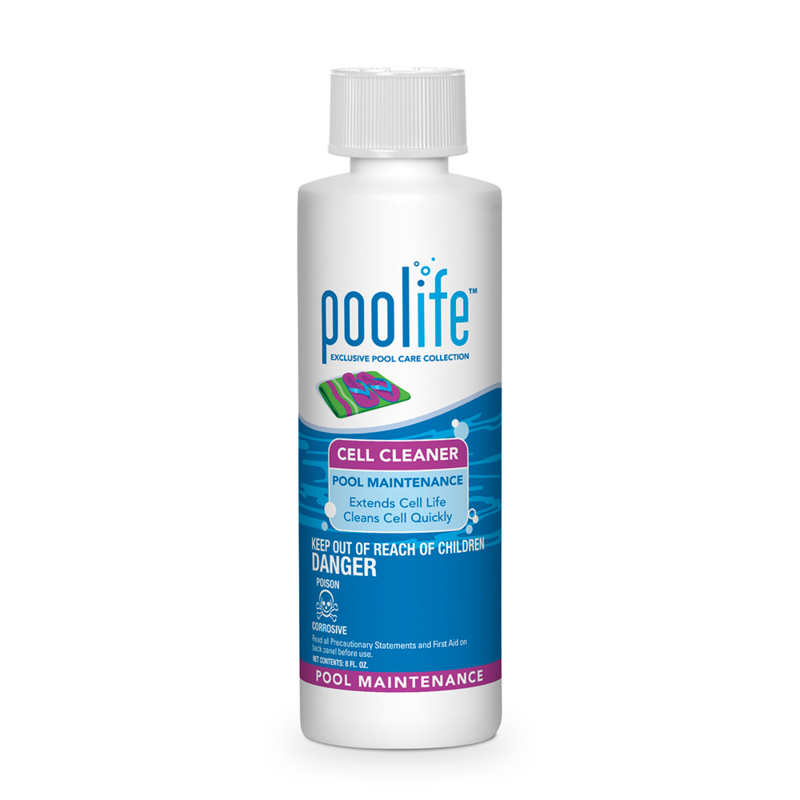 Poolife® Cell Cleaner extends your salt chlorine generator's cell life. Cleans cell quickly and effectively. 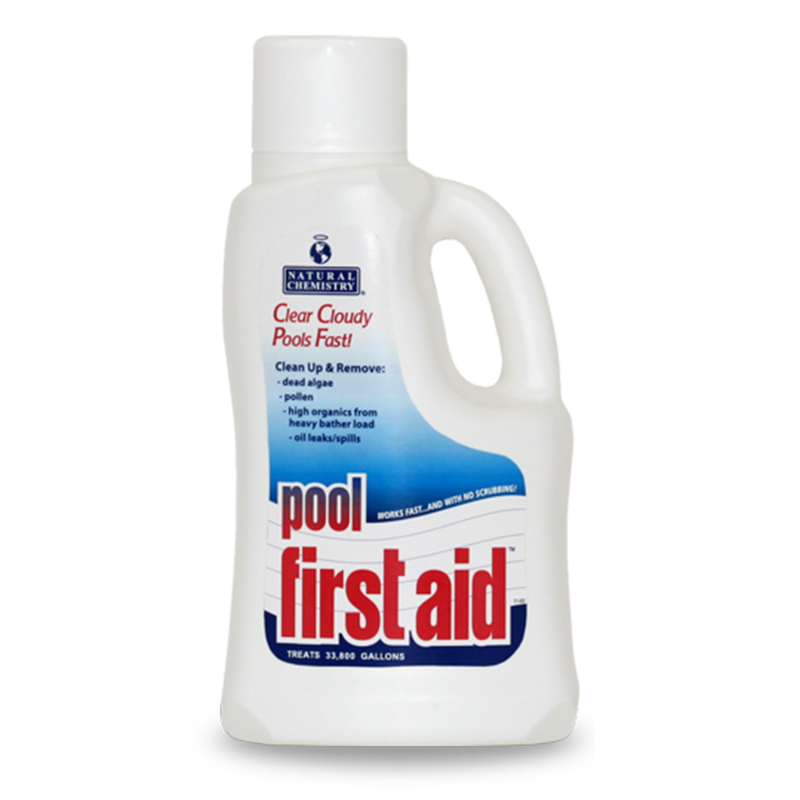 Pool First Aid combines powerful broad spectrum natural enzyme formula with our organic clarifier to fix pool problems fast…guaranteed! 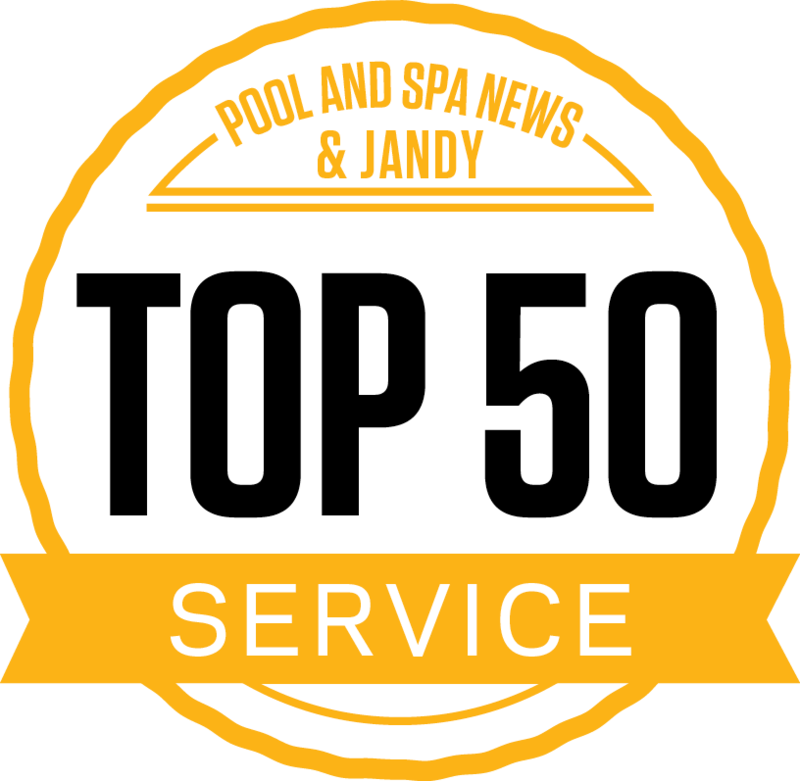 Pool First Aid will clean water of dead algae, pollen, oil/fuel leaks, spills, anti-freeze residue, paint, vandalism, and other forms of non-living organic water contamination. When a pool requires an emergency cleanup, no product works better! 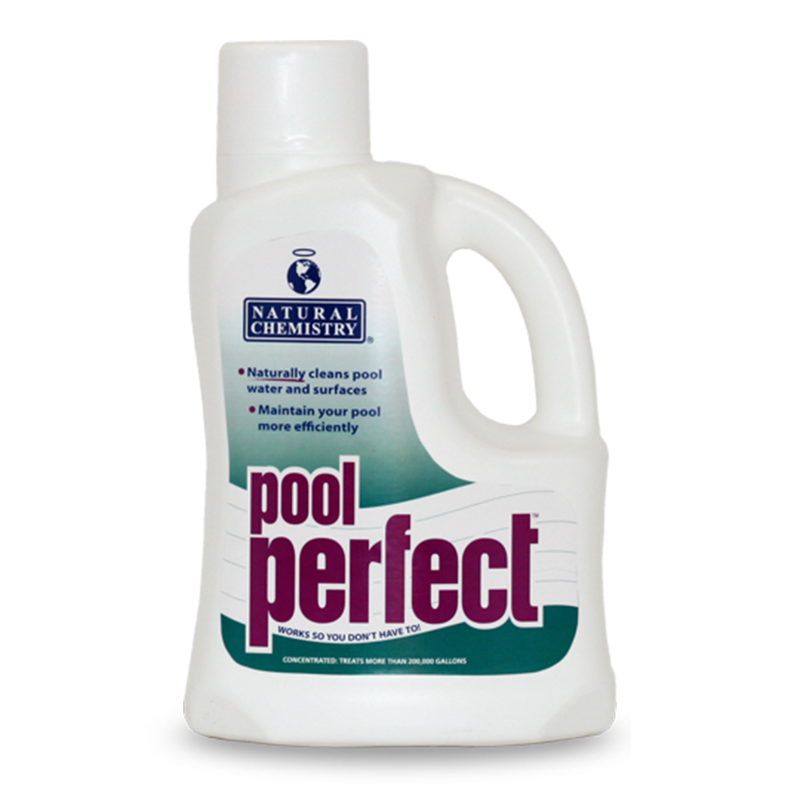 Pool Perfect is a concentrated natural enzyme based formula that breaks down suntan oils, cosmetics, body oils, and other non-living organic contaminates in pool water. Pool Perfect prevents black waterline rings and acts as a continuous filter cleaner. Pool Perfect is non-toxic, non-irritating, and it's environmentally friendly. Pool Magic + PHOSfree is ideal to treat your pool at the beginning and end of each season. This contains all natural enzymes that break down non-living organics to make opening and closing fast and easy. A quick dose to start off the season and to prevent non-living organic staining and phosphate build-up. 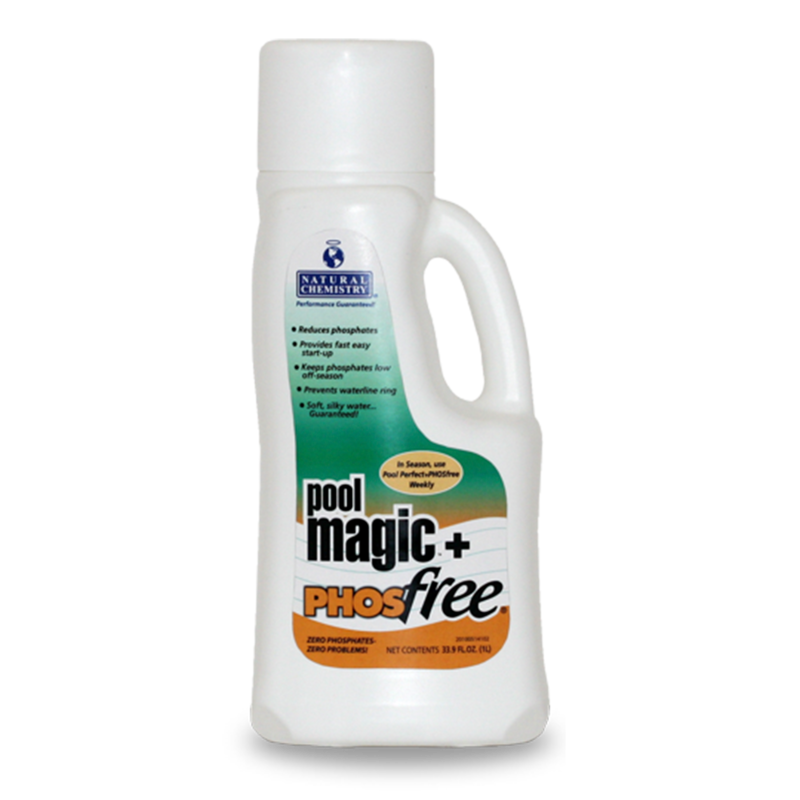 Specifically formulated for cold water applications, Pool Magic + PHOSfree can be used under winter covers, making it an ideal product for mesh covered pools. 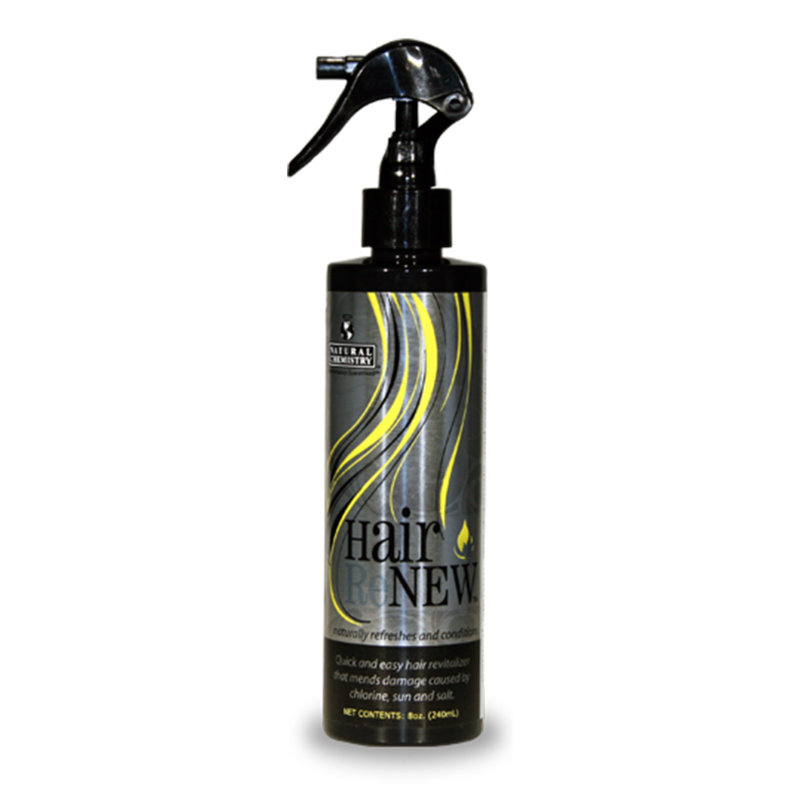 Hair Renew gently neutralizes and helps protect against damage from chlorine, UV rays, hard water, dry air and salt. It contains deep nourishing properties that detangle and smooth hair. Hair Renew provides continuous protections during and after exposure. It will leave hair remarkable soft and silky. Apply immediately after swimming to enjoy the benefits of instant hydration. Hair Renew also helps prevent the "green hair" caused by chlorinated water.